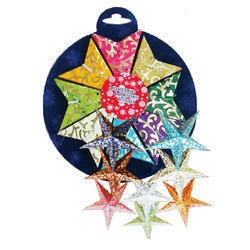 Available Only in Order, For Ex-stock Please call or write us. 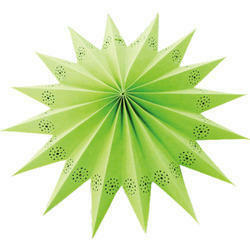 Customized Branding & Packing available in Craft Paper Jacket or card Board . 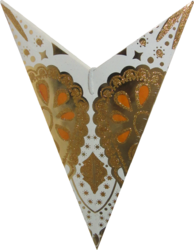 Bulb Protector Also Available at USD 0.2 per pc. 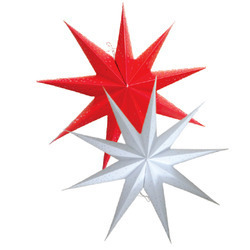 Slant Length ( Closed Star Size ) of Star 4.5 inches. 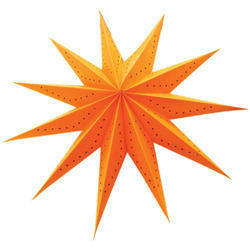 Slant Length ( Closed Star Size ) of Star 3 inches. 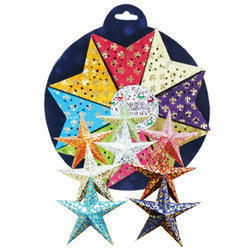 Assorted Colors Stars Three pcs. 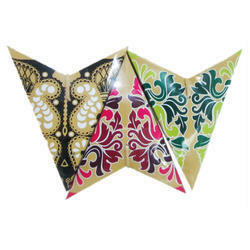 Packaging Details: Customized Branding & Packing available in Craft Paper Jacket or card Board . 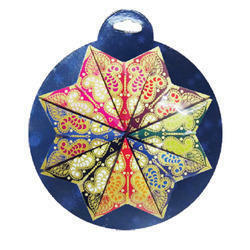 Bulb Protector Also Available at USD 0.2 per pc. 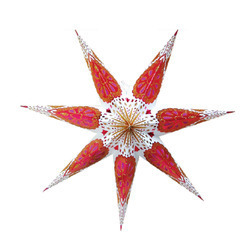 11 Pointer 15 inches Handmade Paper Star with Feathers , Made from Handmade Batik Papers. 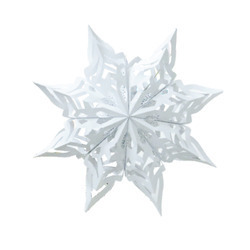 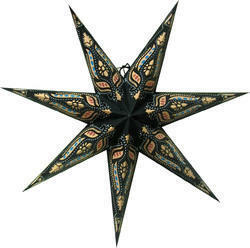 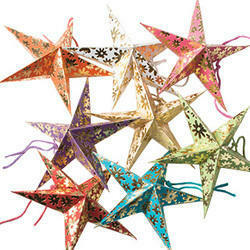 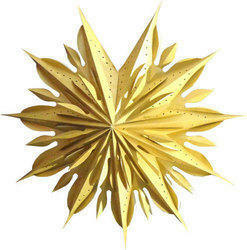 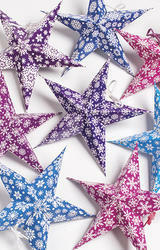 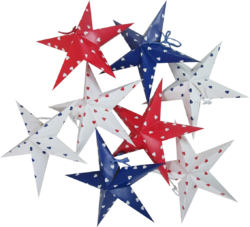 9 POINTER SPECIAL PUNCH STAR ANNI'S MOON 16"
Looking for 4-Paper Stars , Lanterns & Christmas Decor Lights ?